A Glasgow-based African community broadcaster has had to halt its online TV service following the theft of thousands of pounds worth of equipment. 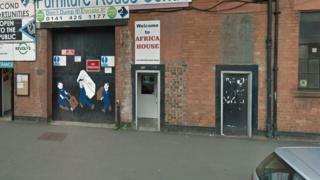 TV cameras and computers were stolen from the offices of ABCi at Africa House in Broomloan Loan, Govan, in the early hours of Tuesday. It is understood that radio equipment at the site was untouched. ABCi is part of the Next Step Initiative, an ethnic minority social enterprise set up in 2009. ABCi, which is short for Africa Broadcasting Company International, broadcasts online 24 hours a day. Managing editor George Tah said CCTV camera footage was being studied in an effort to trace the culprits. He told BBC Scotland: "This (theft) doesn't appear to be an isolated incident but a well-planned operation."